Spatio-temporal models and theories. I am interested in alternative models of space, from the application of naive geography principles to computational models. Semantic and cognitive-based GIS, e.g., modelling of navigation knowledge and landscape perception in urban spaces and built environments. WEB, wireless and GIS systems, from the development of location-based systems to the spatial analysis of the WEB, when considered as a social network. Maritime, environmental and urban GISs. 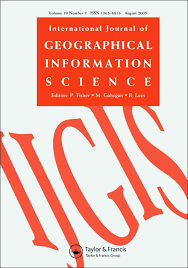 I am an associate editor of the International Journal of Geographical Information Science (IJGIS) that provides a forum for the exchange of original ideas, approaches, methods and experiences in the rapidly growing field of geographical information science (GIScience). I also serve in the editorial boards of the Computers Environment and Urban Systems (CEUS), Journal of Spatial information Science (JOSIS), Journal of location-based services (JLBS), Annals of GIS, International Journal of Geographic Information Systems, Revue Internationale de Géomatique, International Journal of Spatio-temporal Information and Multimedia, International Journal of Advances in Intelligent Systems, Geo-spatial Information Science, Revista Cartográfica, Geofocus and International Journal of Agricultural and Environmental Information Systems. Over the past few years I have been acting as the deputy leader of the working group on the representation of movement data and spatio-temporal DBs of the European Science Foundation COST action MOVE (Knowledge Discovery for Moving Objects). I am currently involved in the H2020 project datAcron "Big Data Analytics for Time Critical Mobility Forecasting". 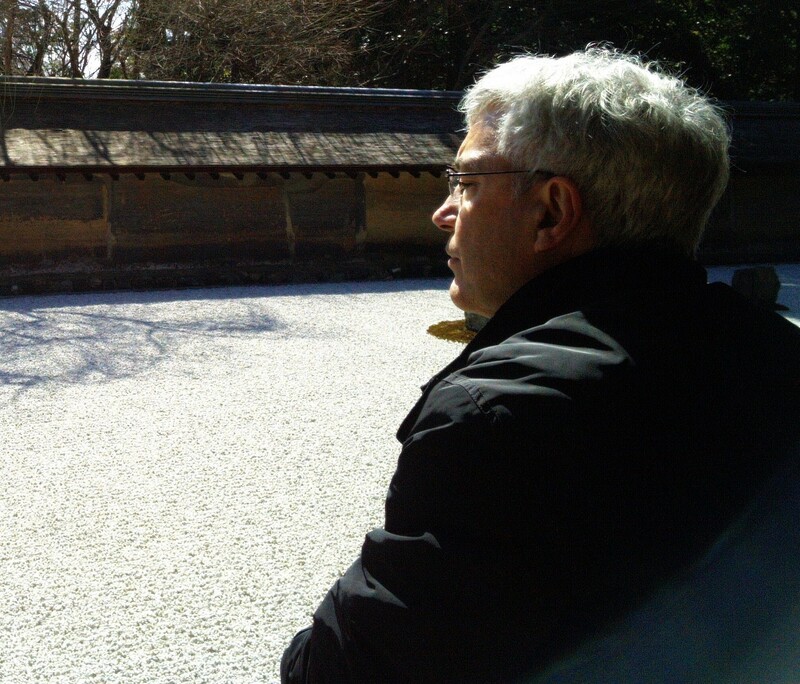 Amongst other affiliations, I am a research fellow at the Research Center for Social Informatics of the Kwansei University in Japan, a research associate at the Centre for Planning Studies at the Laval University and a research fellow at the Joint Laboratory for Geographical Information Science at the Chinese University of Hong Kong. In 2014 I have been an Erskine Fellow at the Department of Geography, University of Canterbury, Christchurch, New Zealand. I am a regular visiting research fellow of Logistics Engineering College of the Shanghai Maritime University. I co-chair the ISPRS commission on semantic interoperability and ontology for geospatial information and I am in charge of the international relations of the French national research network in GIS, so-called, MAGIS for "Modelisation et Application des SIG". My editorial activities are very much oriented to the domain of GI science at large. 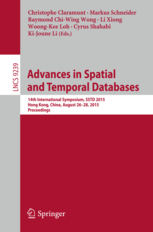 In 2015 I was one of the PC co-chairs of the International Symposium on Spatial and Temporal Databases (SSTD 2015), I have been since member of the SSTD Endowment. Over the past few years I have been also involved in the chairing of several conferences such as Web and Wireless GIS (W2GIS 2013 and W2GIS 2017), COSIT 2013 workshop on Spatio-temporal theories and research for environmental, urban and social sciences, Geospatial Semantics (GeoS 2011), Information Fusion and Geographical Information Systems (IF&GIS 2013, IF&GIS 2011 and IF&GIS 2009), while in 2010 I was one of the co-chairs of the Collaborative Interdisciplinary Specialized Workshop on Spatial Behaviour and Linguistic Representations. 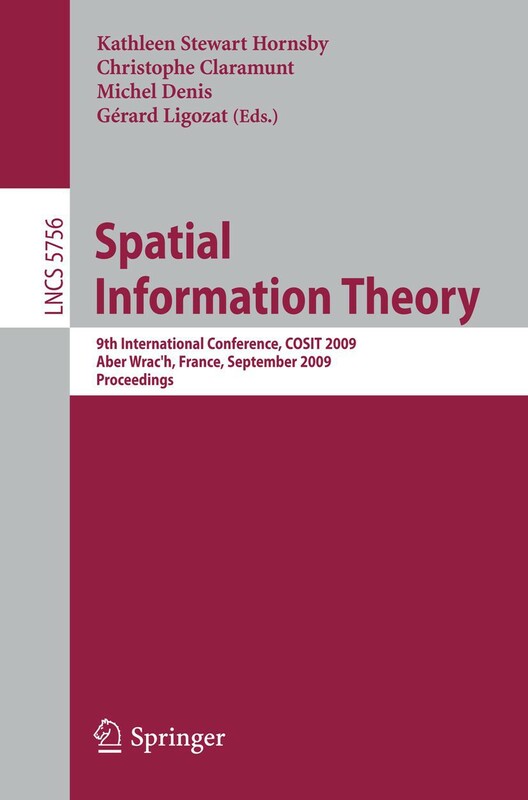 In 2009 I was one of the co_chairs of the international conference in Spatial Information Theory (COSIT'09) , I serve in the steering committees of (COSIT), Web and Wireless Geographical Information Systems (W2GIS), and Semantic and Conceptual Issues in GIS (SeCoGIS). I am regularly involved in the program committees of GIScience, ACM SIGSPATIAL (ACMGIS), Spatial Cognition (SC), AGILE ion Geographical Information Systems, Spatial Data Handling (SDH), Web Information Systems and Technologies (WEBIST) and several specialised workshops such as Behaviour Modelling and Interpretation (BMI), Space, Time and Ambient Intelligence (STAMI) and the International ACMSIGSPATIAL Workshop on Indoor Spatial Awareness (ISA). With Thora Tenbrink and Jan Wiener I co-edited the book ' Representing Space in Cognition: Interrelations of behaviour, language and formal models' published by Oxford University Press. My teaching activities include several computer science and computing courses at the engineer and master levels. I have also developed several modules connected to my research activities in the domain of GIS, remote-sensing, sustainable development, simulation and multi-agent modelling. I am acting as an expert on geography and geomatics of the Belgium public sector agency AEQES (Agence pour l'Evaluation de la Qualité de l'Enseignement Supérieur).